Being a born and raised east coast girl, I really didn't have a clue about the excitement and allure the city of Seattle holds. 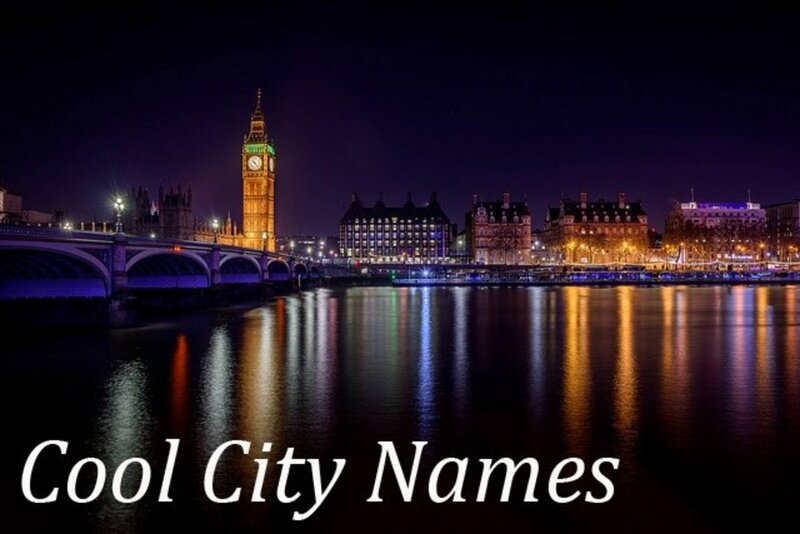 When I visited this city for the first time, I realized how different it was from anywhere I had ever been. Always having preferred nature over the city, I was never really excited to visit many cities. Seattle changed that. This vibrant city on the glistening Puget Sound made me want to hit the streets and explore everything it had to offer. Surrounded by the Cascade and Olympic Mountain Ranges, the captivating waters of the Sound, with views of the majestic Mt. Rainier, Seattle feels like a land enveloped in magic and filled with a variety of things to explore. While this treasure of a city has a plethora of activities and sights to enjoy, the following are some of my favorites! You can't visit Seattle without a visit to Pike Place Market! There is such an air of fun here, with many interesting local finds from food to crafts to collectibles. Stop by the World Famous Pike Place Fish Market where the fish are often found flying through the air, and the lively workers are sure to make you smile. Moving on, you can't miss the gorgeous bouquets of fresh flowers lining the aisle, and men, don't forget to buy some for your sweetheart! Going from gorgeous to gross is what will happen if you visit the Gum Wall, located in Post Alley. If you are unsure what that is, it is a giant wall filled with nothing other than people's chewed gum, so make sure to stop by and take a picture to gross out all your friends! If you are a fan of coffee, as I am, you must stop by the first Starbucks, right across the street from the market, for a drink and souvenir mug before you leave! 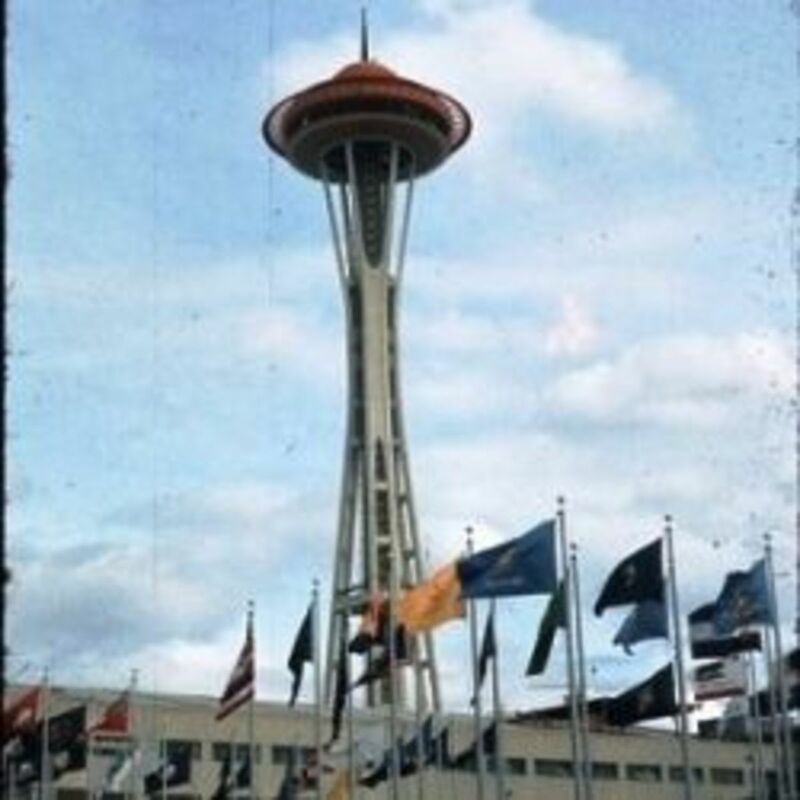 What is your favorite Seattle Attraction or Activity? 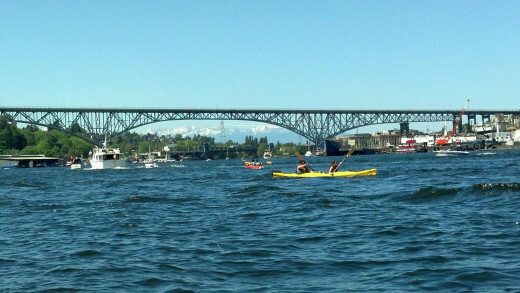 For nature lovers, such as myself, kayaking Lake Union is a one of a kind experience that provides you with a touch of nature in the middle of all the hustle and bustle. 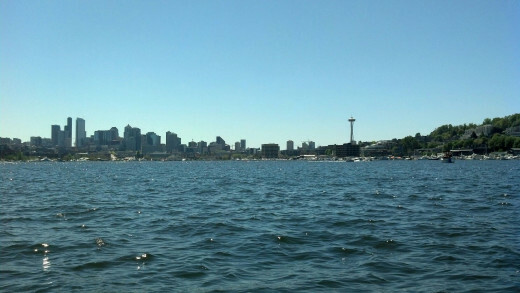 The lake offers views of the city, Space Needle, and mountains that will take your breath away. It's also fun to go around the lake to see the many unique house boats and watch the floatplanes take off and land right on the water! 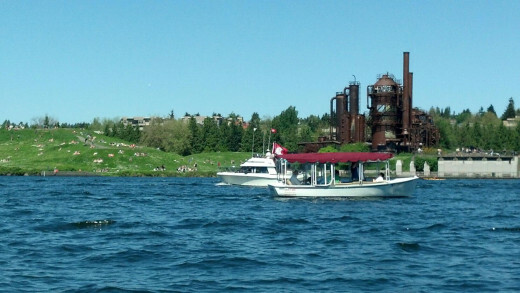 Perhaps during your kayaking excursion, you might like to stop ashore at Gas Works Park and enjoy a picnic lunch. It was once an old gas works, which makes for a very interesting park! It is now a popular area for flying kites and it's even pet friendly! On a sunny day , it is a great place to hang out, lay back, and enjoy the views. 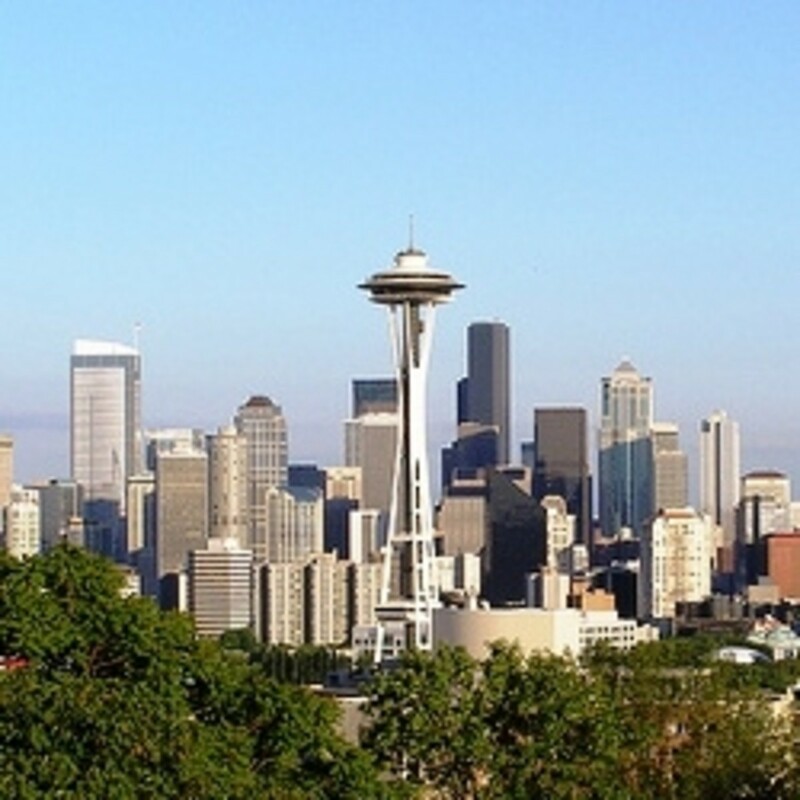 Perhaps what Seattle is best known for is the 605 foot tall Space Needle. 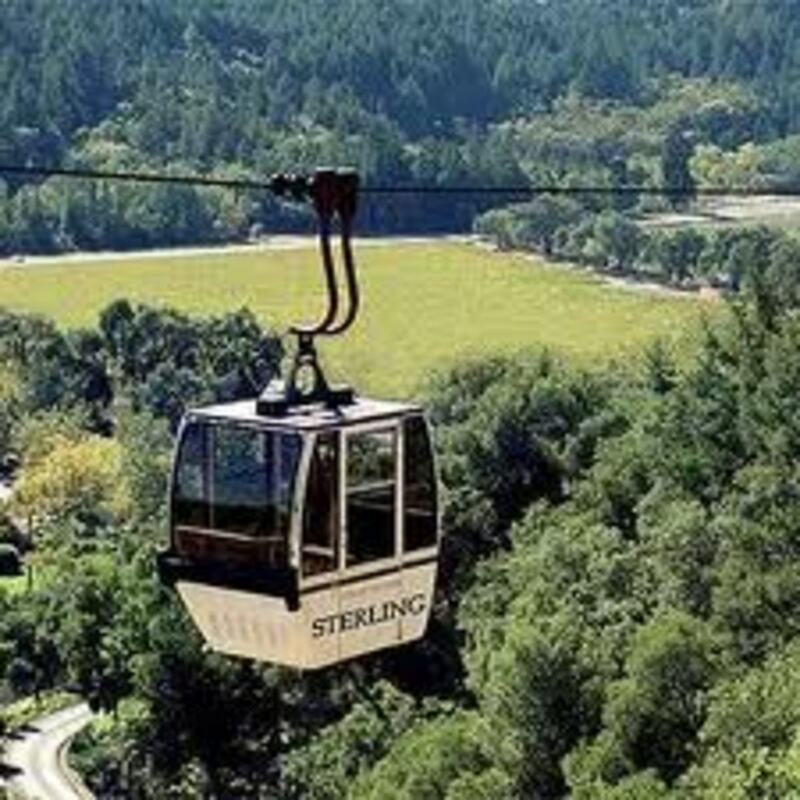 From the top you get gorgeous 360 degree views of this one of a kind land where city meets nature. It is beyond breathtaking. 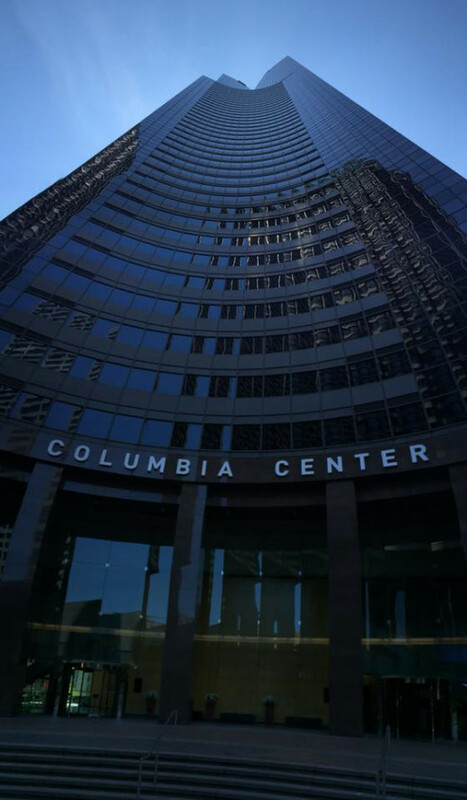 What I may have enjoyed even more than the Space Needle, was a lesser known place called the Columbia Center. 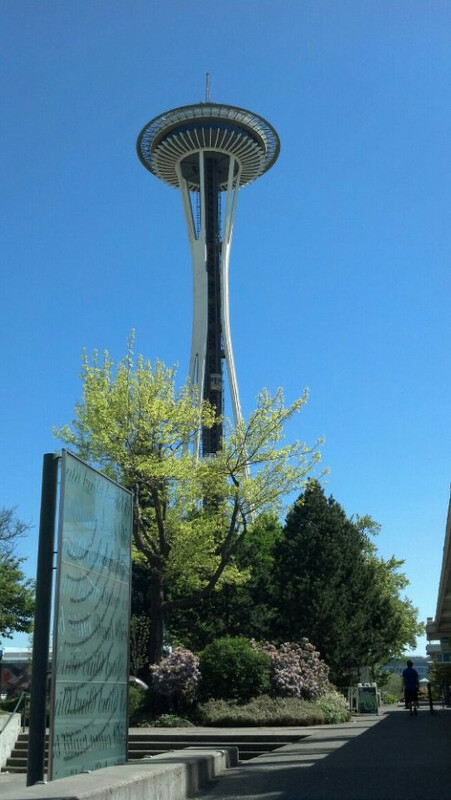 At 967 feet tall at it's tip, it is the tallest building in the state of Washington, and it is located near Centurylink Field and Safeco Field, providing views inside them both! Another good thing about the Columbia Center is that it is a little less crowded with tourists than the Space Needle, and the walls were filled with interesting facts about the city. If you are a fan of history, then Bill Speidel's Underground Tour is for you! You get to see the original streets of Seattle, which were ravaged in the Great Seattle Fire of 1889, and are now underneath the present day streets. It is a peak back in time, and definitely an interesting experience! Calling all aviation lovers! I wouldn't have called myself an aviation lover before, but this place made me really enjoy learning about the subject. The museum contains many different planes to look at, different exhibits, and even a space section, which I found very interesting. There are also Boeing Field Tours and flight simulators! You could easily spend a whole day here, getting lost in the fascinating world of aviation. Whether you want to end your day here or spend the whole day here, there are a multitude of things to do around Pier 57! There are different restaurants to choose from down by the water, gift shops, an arcade, and even a carousel! 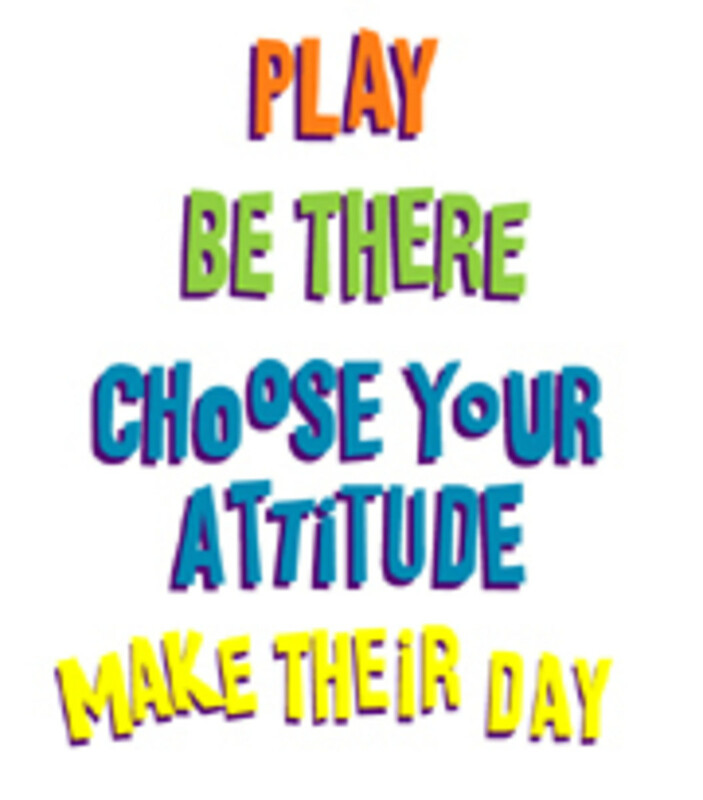 Kids and adults alike are sure to love it here. If you want to spend a full day here, there are many things to do in the area such as harbor cruises and the Seattle Aquarium, which is filled with many interesting creatures that call the waters of the Puget Sound home. 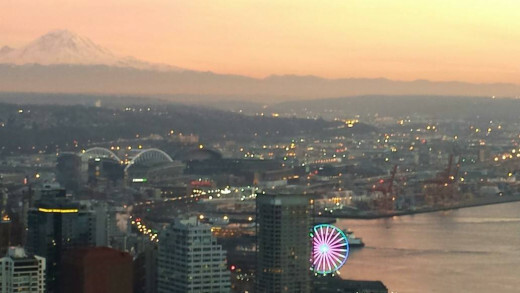 A good way to end your day of exploring is on the Seattle Great Wheel, which is a giant Ferris Wheel right next to the water. All you have to do is sit back, relax, and enjoy the views of this one of a kind place! This was the greatest article. This is a terrific article. Pictures are great also. I look forward to reading more articles submitted by the author.